Home, Sweet Homework | Committed. The pic above is just a teaser–I want to finish those a little more before posting pictures, but I thought you needed to see what we were working with. I thought the green faux finish was the problem, but it basically disappears. Originally, I was really put off by the green. I mean, they painted the SIDES of the bookcases that color. And by the way, the bookcases are just inexpensive 80’s DIY boxes, screwed into the wall. Oh, and I didn’t like the hearth. And I didn’t like…well, any of it. 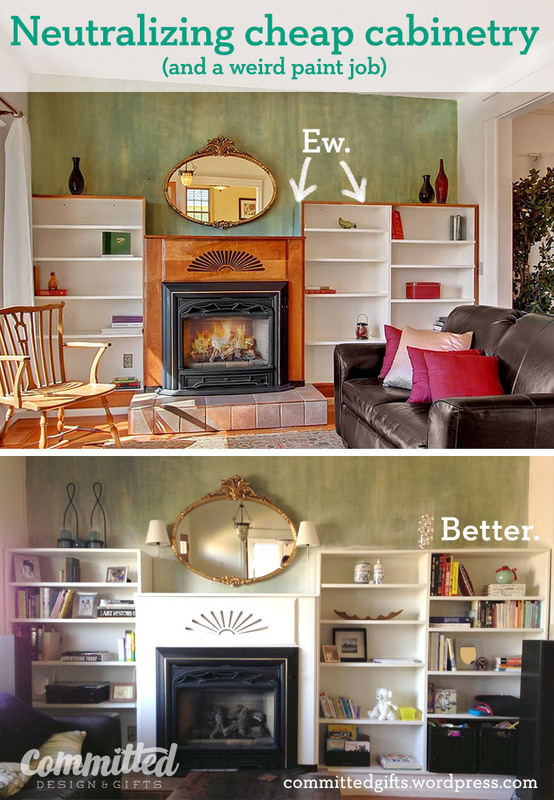 Shockingly, painting the trim and the fireplace made it all look more “built-in” and clean! Don’t hate on the painted fireplace–the woodwork was lovely, but dated.We didn’t touch the hearth, but it also seems less intrusive now. Wow! The power of paint, y’all! Don’t mind the overspray on the wall–since we had only 2 days, the guys didn’t tape the walls when they sprayed to save time. I’ll be picking a wall color soon enough. Anyhoo, I also grabbed a bunch of ideas from Pinterest on filling the shelves. The basic idea is to add accessories and photos to a variety of book arrangements. After I finish hanging blackout drapes in my daughter’s room (Project #1), I’ll be painting the gold mirror frame white (Project #2, not to overlap Project #1). This piece came with the house, and I’ve been itching to get my hands on it. But priorities, right? So that’s my first post from the new house! 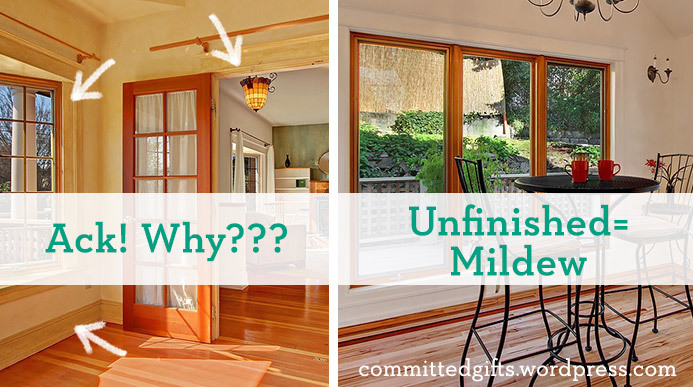 Have you dared to paint over something and loved it?